The most successful pain relieving strategies we recommend involve in-office care, at-home care, and a positive spirit that accepts that injuries and other sources of pain take time to heal. 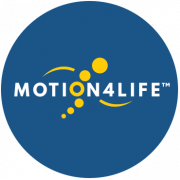 Our team at Motion4Life is thrilled to be working alongside you all the way. 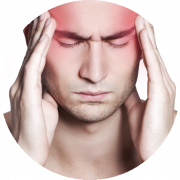 Your regular appointments at Motion4Life will involve a small amount of paperwork to track your progress, a visual catalog scale report (to measure overall how severe your pain is before each treatment) then we will begin the chiropractic treatment appropriate for your condition or symptom. This will be followed by any complimentary therapies and services required for your rehabilitation. We’re here to work alongside you to minimize your pain and make your recovery as smooth and painless as possible! There is no step-by-step formula for ensuring successful at-home rehabilitation, but there are many simple steps you can take at home and at work to complement and quicken your healing. Our recommendations for you may include stretching and straightening exercises, hot/cold therapy, nutritional adjustments, and ergonomic adjustments. The goal of at-home care is to help you re-gain control over your symptoms and pain, and to provide you with the quality of life you deserve. When it comes to health conditions, injuries and rehabilitation, everyone has their own individually unique experience, so your relief time will be unique to you too. These are some general clinical outcomes to show you what you can expect with our chiropractic care. Many health factors cause variations in these time frames, so remember that your healing is unique to you. If you’re experiencing pain or discomfort, tell us more or come in for a complimentary consultation with Dr. Paul Taillefer today. Dr. Taillefer is a certified provider of a wide array of techniques that assist in rehabilitation and ongoing care. Now that you know us, we’d love the opportunity to get to know you too and see how we can help work alongside you to maximize your quality of life today.